Do you believe you have assets? Yes, I’m a real estate investor, so you likely think I’m talking only about properties. Here’s my definition of what an asset really is: SOMETHING that puts money in your pocket without your direct effort that day. That means it is something you can create that has the power to also create true passive income for you even while you sleep. What “thing” is it that can put money in your pocket today? What about a book… an eBook, or something else you can create from your brain that you can put out into the world? Something you can create and sell. Yes, this is a link to my book, but it’s something I created that I can sell… so it is a great asset. It’s something I sell on Amazon, but also on my company website. Plus I give it away for free in its eBook format. 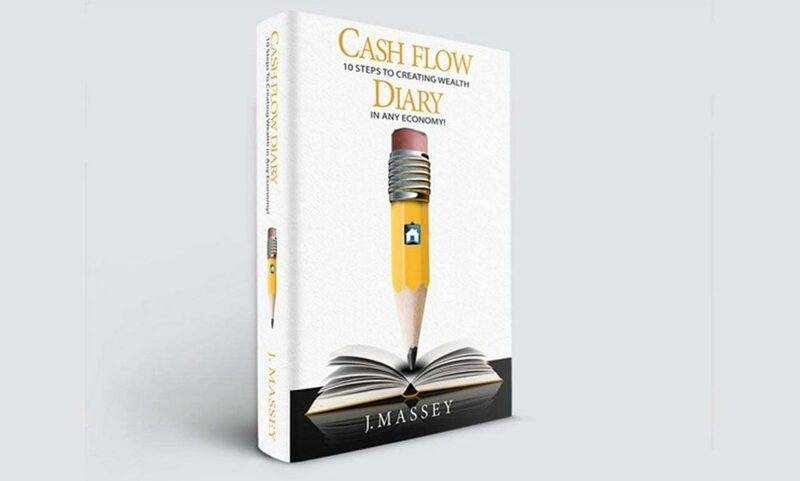 To get your copy, go to www.cashflowdiary.com/freebook. (Even if it is given away it is still an asset, because it introduces people who don’t know me. Then they’ll know I have lots of other great assets to share, like my education products and coaching. Or they might want to work with me as investors. My point is if I hadn’t created that first educational asset, people might not know so much about me, maybe I wouldn’t have gone on to create killer educational assets. Take a look at all my assets at a glance: www.cashflowdiary.com/products. Pretty amazing, huh? But that didn’t happen overnight. If you’ve been following me for the past four years you know I have a lot of eBooks, checklists, kits, how-to products, courses large and small and a whole lot of other “assets” my team and I have created. The purpose is to educate others on the ways I do deals in real estate. And I’m not just talking about courses and free written materials. I’ve developed lots and lots and LOTS of video assets. Since we’re talking about creating passive income through creating assets that can bring that income to you even while you sleep, I chose the video because it goes along with that theme… but in a little different way! You can do the same. You can create videos that inform and educate others on what you’re doing and why. You can do livestreams; you can start a podcast and fill it with great content and lots of episodes. But you can’t just do one and be done. You have to keep creating assets and systemize the way you deliver them and then build upon them over time. Here’s my rule of thumb: An asset a day keeps poverty away! You Got the Idea for the Asset. What Next? After you have the eBook assembled, you have to systemize its delivery. If it’s just making it available through Amazon, that’s a step in the right direction. Truth is that this first asset can be used as a cornerstone to other assets. But here’s the deal… you have to start. If it’s an eBook, write that first sentence, write that first chapter, and do what you need to do to get the help you require to write it… but just get started. It’s the same in the real estate space. If your goal is to have a portfolio of properties you need to make your first offer for your first property. And you can’t let anything get in your way. Writing an offer is NOT scary; it’s just something you don’t know how to do YET. In fact, writing offers and lots of ‘em is essential to your success. You have to get over your fear of talking to sellers, buyers and investors. If you think that just because I have created a whole bunch of educational assets that I don’t know what that feels like you’d be so wrong. I was once a newbie at real estate investing. I didn’t know how to make an offer, I didn’t have any properties but had a dream to have a number of them, and I didn’t know a lick of how to go about anything. But then I got a little education under my tool belt… and then kept adding to that belt. Now (just a few years later) I have a real portfolio of properties. Hundreds of units with apartment buildings and even a single-family house. I do commercial real estate, too. If you’re ready… I mean really ready… to get out there and make your first offer, I’ll give you the tools you need. In fact, I get asked so often how I’ve accomplished so much in just a few short years that I’ve developed video training on the steps and strategies. However, nothing beats live training and a little hand-holding when you’re first getting into real estate investing. 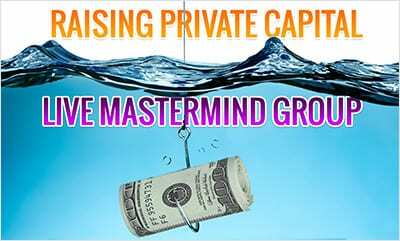 So, my team and I have decided to run a brand new mastermind called “Fund It. Find It. Flip It.” This is all about wholesaling, which is the #1 way people get started in real estate investing. With these skills you can literally start earning thousands of dollars per transaction… which translates to a very good income. For example, I earned 6 figures my first year as a wholesaler. So I know it works.